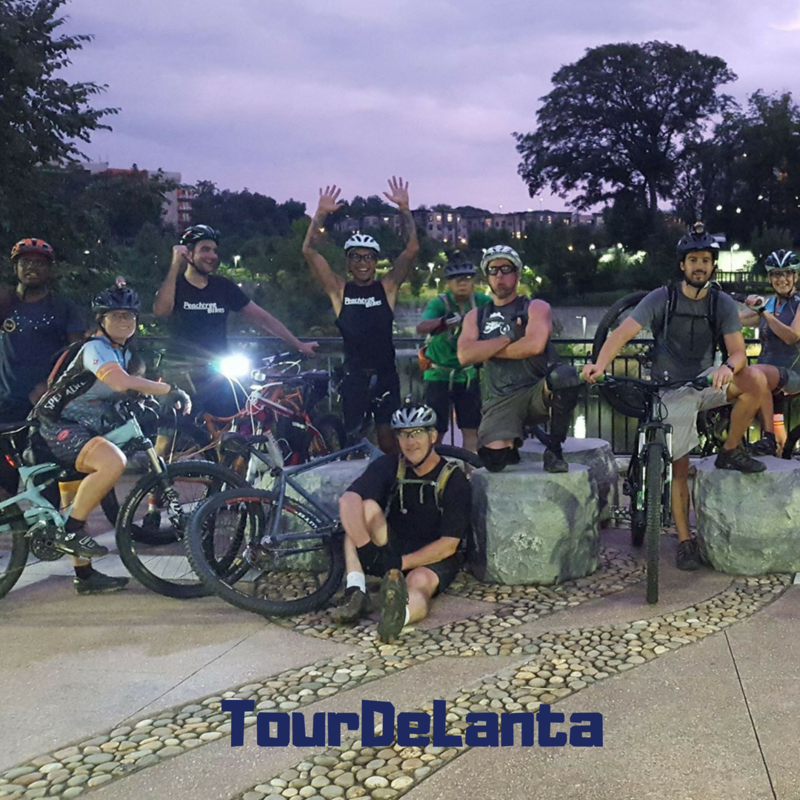 Please sign up for this free weekly ride at: https://www.meetup.com/TourDeLanta-Urban-Single-Track/events/ TourDeLanta http://www.tourdelanta.com is an active group of Mountain, Hybrid and off-road bicyclers who ride various urban-singletrack loops around Atlanta during the week and ride Mt. bike trails all over Georgia on the weekends. Our Group volunteers time and financial support to bicycle groups such as SORBA Atlanta, I.M.B.A., Atlanta Bicycle Coalition, as well as host joint rides with local interests such as the Mobile Social Ride, Wheel-Hoppers, Faster Mustache rides, and Atlanta streets Alive. The TourDeLanta weekday ride is a part bike lane part urban-singletrack loop around Atlanta. The riders skill level ranges from intermediate, to advanced. The group meets in front of “Peachtree Bikes Westside” and traverses miles of “Belt-line trails”, “The Path” trails, “urban-singletrack”, off road, as well as bike lanes and sidewalks when necessary. This ride will take us through most of the big name parks and popular regions in Atlanta including Piedmont Park, West Midtown, Virginia Highlands, Centennial park, Woodruff park, Krog Street Bridge, hidden Atlanta trails, and lastly get kicked out of Atlantic Station by mall security again. Why Mountain bikes, hybrid and off-road bike tires? These bicycles offer more terrain choices for any terrain we ride in in the city. We ride urban single-track, paved paths, sidewalks, open natural terrain, walls, jumps, drainage culverts etc. Mt Bikes also provide a more dynamic workout in a shorter distance. Our average ride burns close to 1000 calories. The ride ranges from high rep low resistance to low rep high resistance. In the Winter proper warm clothing and lights are required.